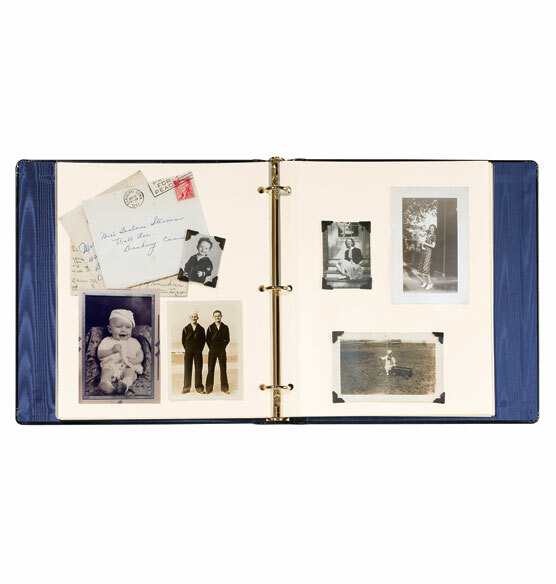 Make sure your most treasured photographic memories remain protected in a safe place with our presidential personalized leather photo albums. 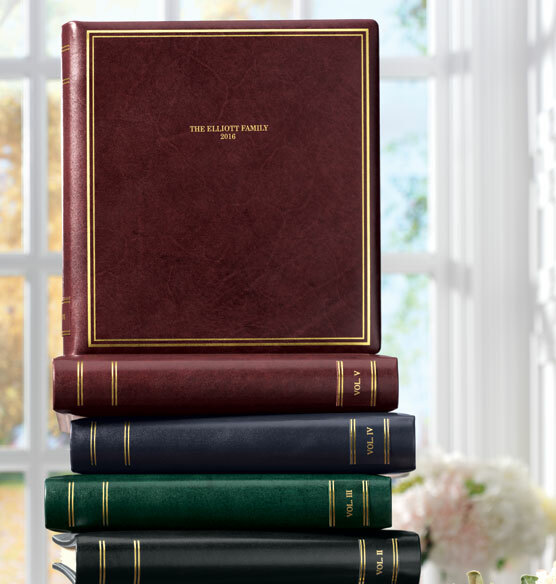 These popular traditional monogrammed leather photo albums feature gold-stamped borders on the covers, and provide up to three lines for personalization. 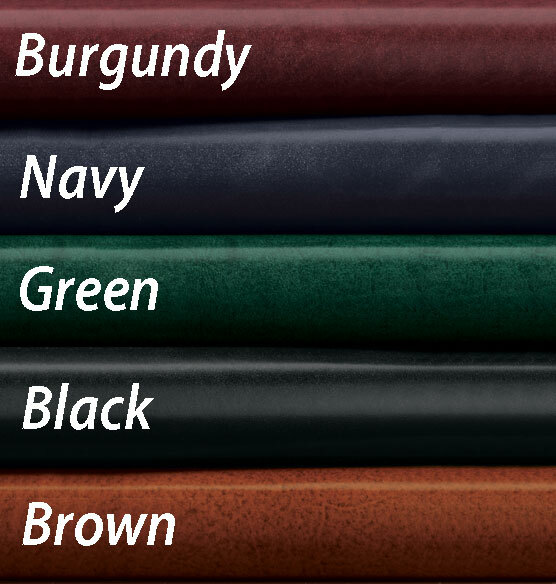 The ideal engraved leather photo album comes in several distinctive colors for color-coordinating variety. These custom leather photo albums hold up to 40 pages, secured by three sturdy metal rings for long-term enjoyment of special memories. Each new year I order a new album with our family name on the cover and the year on the spine patch and as I develop photos I place them in the album. As I fill an album, I order a new album with the year and the volume number on the spine patch. I also order special ones for special vacations or other large events. This process has made my photo storage and organization smooth and easy. If the children need a certain picture for a class project, I reach to the album from that year and pull it out. My friends are all jealous of how beautiful my photo collection is and how easy it is to maintain. I love these albums please don't ever change them. I have been buying two of these albums a year and having the year embosessed on tha cover. That way I do not need to label pictures with the date. After many years of collecting these, I have an impressive armoire of green leather albums. I buy one or two of these albums a year and now have shelves of them. They are rich looking and are heirloom quality. Expensive but worth it. I've been using these albums for 25 years. Our daughter has always loved being able to pull out these albums to show friends pictures. 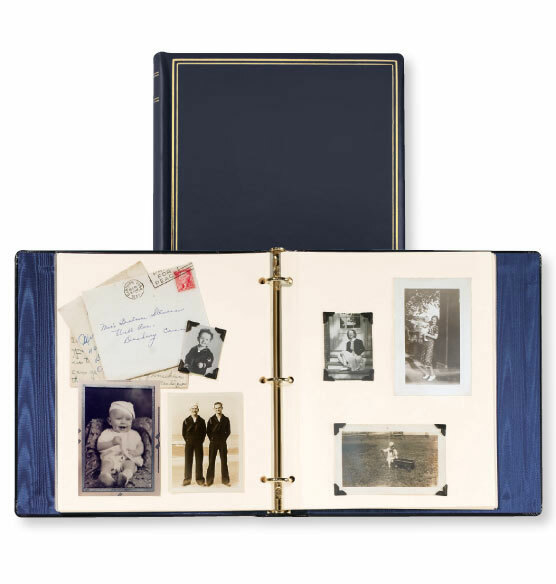 Even in a digital world, printing pics and putting them in albums provides a family with a concrete history of their lives to pass down to future generations. Ours are engraved with our family name and the year on the cover - starting in 1985. Not inexpensive but well worth the cost. My parents have even more years of pics in their collection. I love this album. Good quality. I have collected over 20 of these albums over the years to display my photo library. We are using the Leather Album and Sheet Protectors to catalog the last 16 years of pivotal keepsake photographs that show some of the historical and personal memories of my husband who held the top position in his medical institution as Dean of the Medical School and CEO of the associated Health System. It will be shelved in our library to review, now that he is retiring soon. The professional appearance is just right; and we were able to purchase the album and gold edge protector sheets that match the Institution's colors. I was disapointed that there were not enough "spaces" allowed on the front lines of the flbum to fully spell out his title along with the institution's name. Also, a too limited number of lines on the album's binder. very disappointing; lines were too close together on the front of the album[...]. Will think twice before ordering again. My brother gave me one earlier for my older son, liked it and want one for my other son...quality product! Best quality photo album out there. what are the spine dimensions? BEST ANSWER: Thank you for your question. Unfortunately the spine patches have sold out. Since we no longer have inventory and are not expecting further shipments from the supplier the item was cancelled. We apologize for any inconvenience this has caused you. We hope this information will be of help to you. What pages fit this album? BEST ANSWER: Thank you for your question. 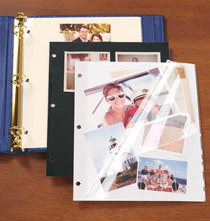 Most of our 3 ring pages will fit the Presidential Photo Album as long as they are not the oversized pages or the 12 by 12 pages they should fit the album. We hope this information will be of help to you. How long does it take to get the personalization completed? BEST ANSWER: Thank you for your question. We allow an additional 2 to 3 days for personalized on our standard 5-7 business days for standard shipping. We hope this information will be of help to you. Very short time frame. The album arrived within a week, I believe, with the personalization. Just a few days. It does not delay the delivery long and is worth it. Where are the plain pages -- that you use photo corners for and can write on? BEST ANSWER: Thank you for your question. The pages are sold separately. We suggest to look at our protector pages for the style you are looking for. We hope this information will be of help to you. hmmmm They should be located where you choose the pages you want to include in the album. 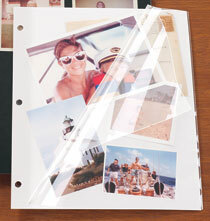 You must choose the pages you want to add to the plain album itself. what are the spine measurements of this album? BEST ANSWER: Thank you for your question. The spine is 2". We hope this information will be of help to you. what are the dimensions of the book? BEST ANSWER: Thank you for your question. The dimensions are 11" wide by 11 1/2" high. We hope this information will be of help to you. BEST ANSWER: Thank you for your question. For the 3 ring albums we sell separately 4x6, 5x7, 8x10, and 8x11 1/2. We hope this information will be of help to you. How many pages can this album hold? BEST ANSWER: Thank you for your question. This holds up to 3-4 sets of pages, so 30-40 pages. We hope this information will be of help to you. How many pages does it hold and now many 4x6 photos can I get on page? BEST ANSWER: Thank you for your question. 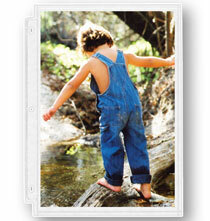 It will depend on the page you choose and what size photo you need the page to hold. Please note, pages are sold separately. We hope this information will be of help to you. What do I do if my personalized text does not fit? Do you have custom options for this? BEST ANSWER: Thank you for your question. Unfortunately no, we can not extend the amount of personalization allowed for this item. 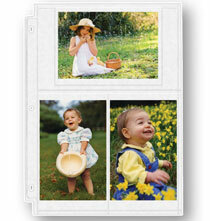 This album only allows three lines of personalization with up to 20 characters per line. We apologize for any inconvenience this may have caused.